One of the biggest parts of remodeling your bathroom is putting in new tiles. 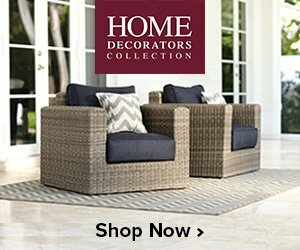 Creative tile installations are all the rage right now, and they are an easy way to really transform your bathroom and make it exciting and unique. 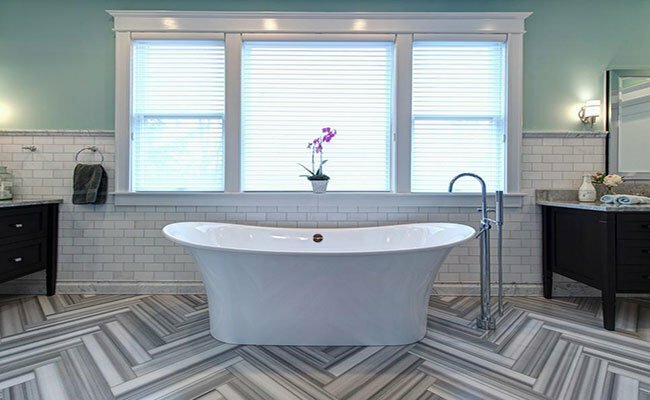 When looking at bathroom remodeling in St. Louis, our designers have noticed that many do it yourself home renovations now feature unique tile design ideas. Here is our bathroom tile designs photo gallery. 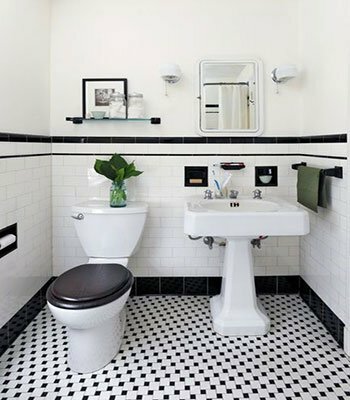 White tiles have been classic for decades, but why not give your bathroom a modern feel with a black and white combo? Alternating the two colors or even using the black tiles to create unique shapes and patterns gives your bathroom some sophisticated flair. This combination looks particularly good when used with matte tiles and paired with brass or gold hardware. Printed Mediterranean tiles that evoke the feeling of a Greek island are an amazing way to feel like you’re on vacation whenever you step into the shower. Look at local markets or online to find vendors that sell these painted tiles, or find someone to custom paint them for you if you have a very specific design in mind. The blues, whites, and yellows that are traditionally used in these tiles are vibrant and sunny, transforming your bathroom into a welcoming and happy space. For those who want true luxury, look for marble tiles to use in your shower. It’s less expensive than doing a completely marble surface, but you still get the stunning effect. Gold tiles are another way to achieve this wonderfully over-the-top style, particularly if you are already using gold hardware. For something truly incredible, pair these two materials together. A bright or bold color can be a great way to add interest to an otherwise simple bathroom. Instead of using tiles that are all exactly the same shade, try picking one color and then using a variety of different shades of it to add some interest and style. For example, if you want to use blue tile, you could opt for sky blue, teal, navy, and more instead of just one color. This monochromatic tile wall makes the perfect accent for your shower or powder room. Instead of using your traditional squares or rectangles, why not experiment with tiles in a different shape? Hexagonal tiles are particularly trendy right now, but you could also go for triangles, pentagons, or trapezoids to add some dimension to your bathroom. You can even combine different shapes for even more depth with your tiles. Unique shapes really stand on their own, so even if you’re just using basic colors or materials, they will still make your bathroom look incredible. If you want to make your bathroom look taller than it actually is, try doing an ombre tile setup for your space. Start with the darkest color on the bottom and then work your way up to pastels and then whites and beiges. The result is absolutely stunning and can mimic natural phenomena like a beautiful sunset or an ocean wave. This is also easy to do on your own – all you need to do is find an assortment of colored tiles and then you can place them on your own. Look in unexpected places to find unique tiles that really represent your sense of style. For example, you can often find one-of-a-kind tiles at local home boutiques, flea markets, or online vendors. A standout bathroom tile design really takes your space to the next level, and it is definitely something that is worth investing in during your home remodel.